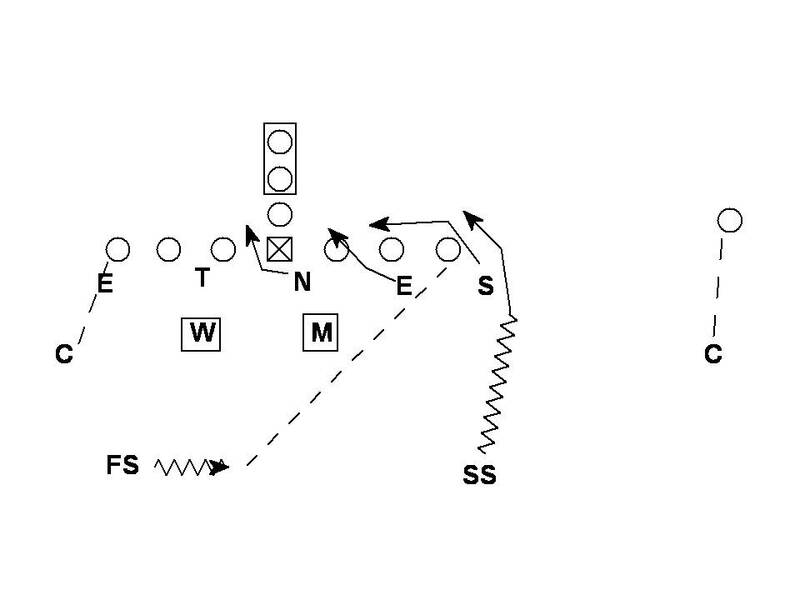 This is a pressure concept Indiana was using last year vs. Wisconsin when the Badgers were in 22 personnel. 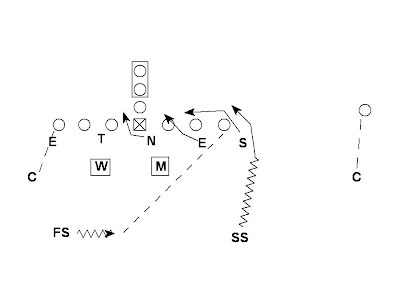 Unfortunately I don't have any playbook material to link to for the Hoosiers. The Sam and SS are overloading to the Strong Side. The Sam spilled everything and did a great job of getting underneath all kickout blocks. The FS was easily able to get to the the strong side TE because of the small offensive line splits the Badger's were using. Is the defensive set up a "4-3 under" since the Sam backer is aligned outside the strong side TE with the Strong Safety filling in behind him?